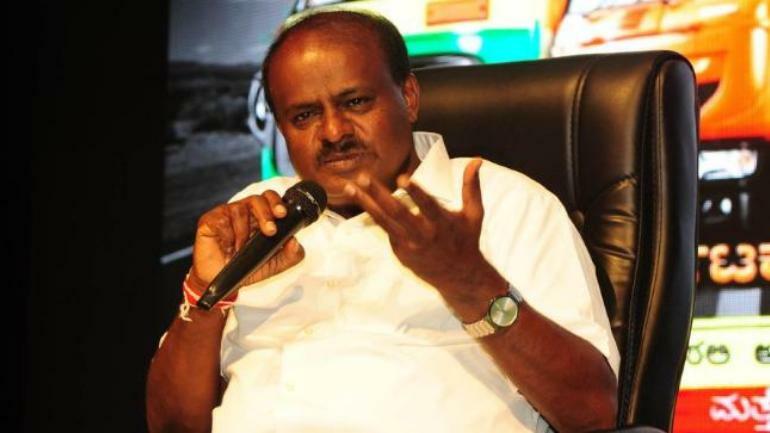 Mandya: Just two days ahead of the Lok Sabha elections, Chief Minister H D Kumaraswamy, on Monday, while seeking votes for his son Nikhil shedded tears once again and also explained about his health issues. Kumaraswamy, who was campaigning for his son at KR Pete said that he had stopped shedding tears in the public, but when JD(S) state president A H Vishwanath told him that nobody was understanding the situation he was in and his health condition, so he was not able to control him emotions. Kumaraswamy attacking Independent candidate Sumalatha said that as soon as he had received the message about Ambareesh’s demise, he had rushed to the hospital, but Sumalatha was not there. Then he made all arrangements to bring Ambareesh’s body to Mandya, for the people to pay their last respects.